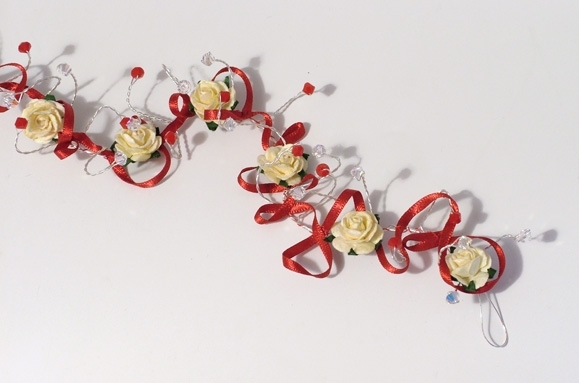 This pretty style of hair vine is perfect for Proms and younger bridesmaids. The ribbon colour can be matched to your own colour choice and looks particularly good if it's matched to the sash of a dress. 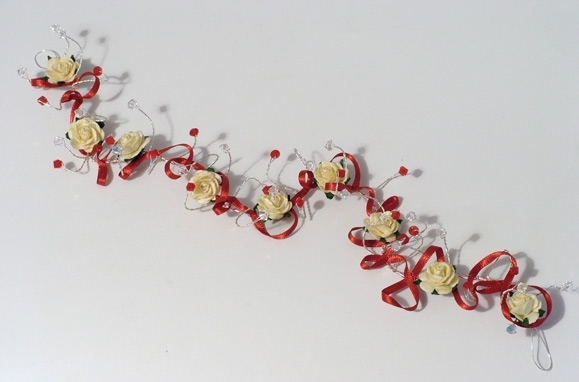 I've designed this vine on silver wire with ivory roses, red satin ribbon plus a mixture of red and sparkly Swarovski crystals.